One of the best things about cruising in the Caribbean is the time to enjoy the sun and warm temperatures on one of the open decks. 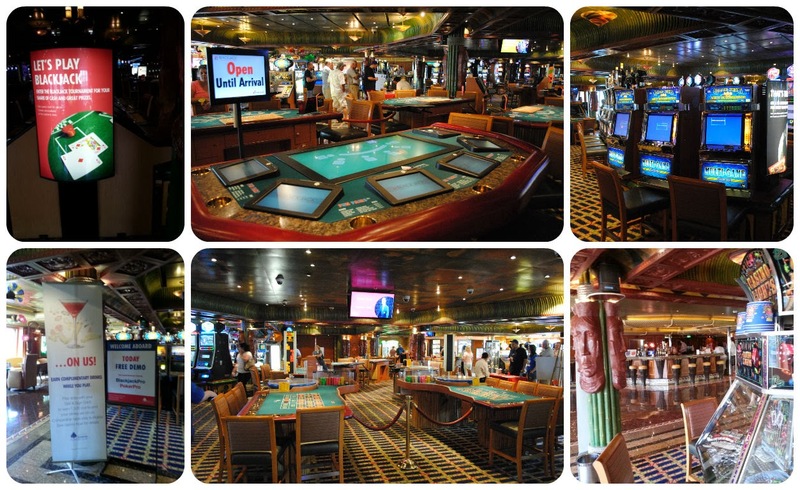 Carnival Conquest has two pools - the main pool has a water slide and is open for all ages. The aft pool on Lido Deck is only open to adults. There are four hot tubs in addition to the pool which were quite popular throughout the cruise. There's a bar right there as well, so need to go far to get your favorite beverage (or you can order from the wait staff that comes around to check on guests). If the weather doesn't cooperate, there is a sliding roof which can shield guests from the weather. We had some light showers a couple times during the cruise and the top was closed. There are lounge chairs along both sides of the pool as well as tables for those that want to sit poolside and have some pizza or other refreshments. You can relax in a lounge chair by the main pool as well, but expect a lot more activity with families enjoying the pool area. 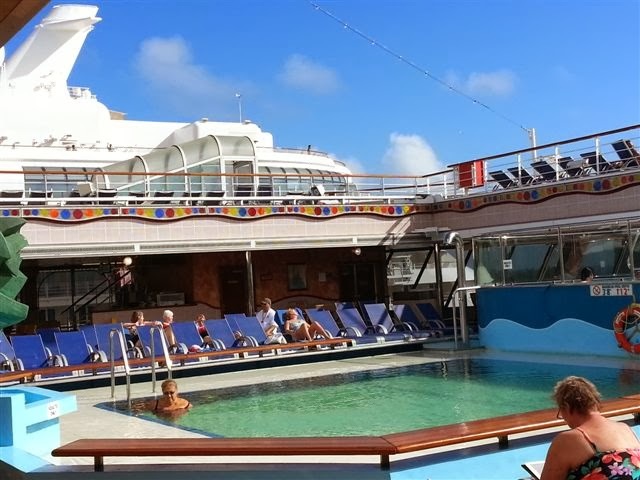 We were blessed with beautiful weather during our cruise so the pools were always busy. Carnival has a policy of not saving lounge chairs. You can leave your belongings if you like, but they can remove them if no one occupies the chair for 45 minutes. We didn't see that being enforced during our cruise and there were unfortunately some people not following the rules. Tip: For prime lounge chair spot, eat your breakfast early and then go camp out at your favorite location. We'll continue with St. Thomas and more about the ship in our next installment. If you are just joining us, we have several articles in this mini-series already. You can either page backwards or check our main article (click image). Not Allowed: Shorts, T-Shirts, jeans, flip flops, bathing suit attire, sleeveless shirts for men, sportswear and baseball hats. Our assigned table was on deck 4 of Monet Dining Room with a very nice view. We requested a large table when we made our reservation, so we did get one set for 8 people however there were only 4 of us on most nights. 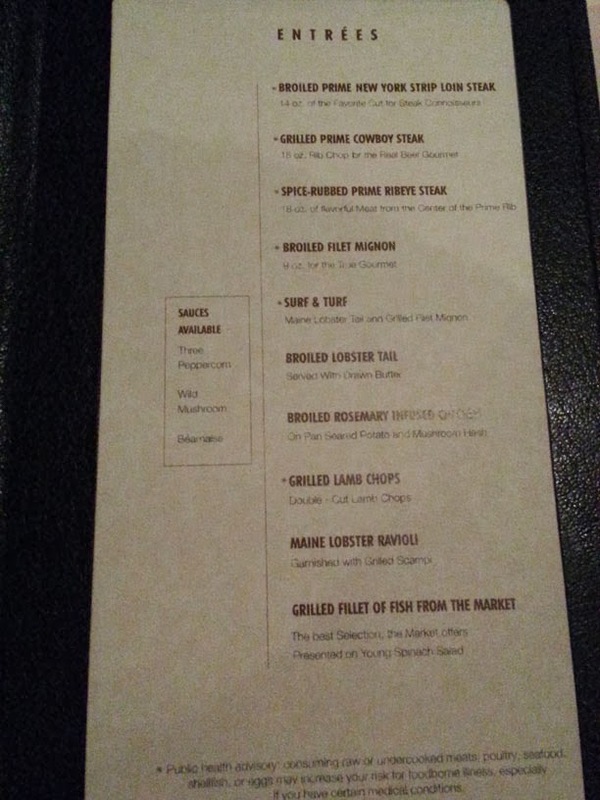 Two nights one couple went to "The Point" Steakhouse. We had a lovely dinner with our new friends. For starters we had the Strawberry Bisque chilled soup topped with fresh mint leave, spring rolls, and shrimp cocktail. The last two items you can have every day. Each day there's a chilled soup and hot soup amongst the starters. 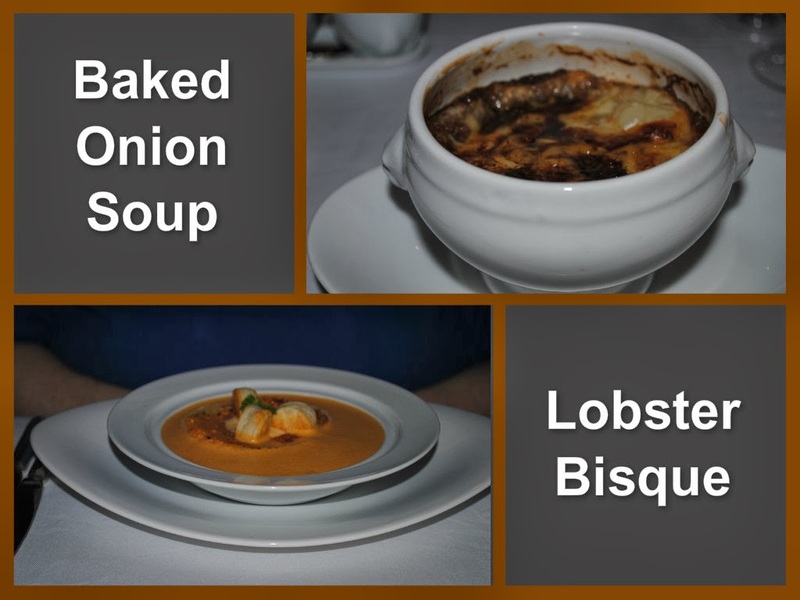 Our two selections for the main entree were Broiled Maine Lobster Tail with Jumbo Black Tiger Shrimp and Tender Roasted Prime Rib of American Beef Au Jus. The lobster dish came with yukon gold mashed potatoes and broccoli florets and the prime rib came with baked potato with all the trimmings. For dessert we had Cherries Jubilee. The food was cooked the way we liked it and the wait staff were very attentive checking to see if we wanted anything more. We capped our dinner off with an after dinner drink of Lemoncello. If you have ever been to Italy, you'll instantly know about Limoncello. Lemons seem to be one of the important staples in the food of Sorrento. 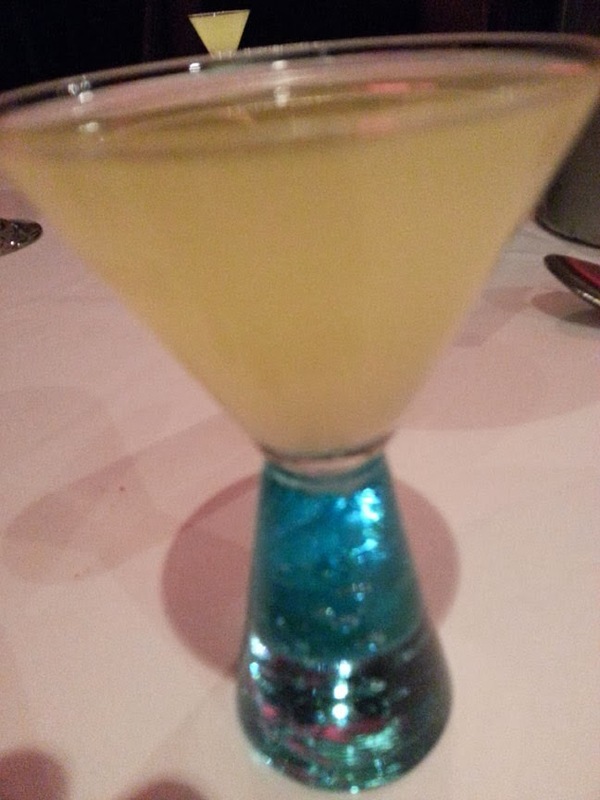 The most famous product is Limoncello. Every store or restaurant has it’s unique or favorite brand of Limoncello for sale or to taste. It is wonderful as a palate cleanser or as an after dinner drink. Limoncello is the generic name for an Italian citrus-based lemon liqueur that is served well chilled in the summer months. Limoncello is now considered the national drink of Italy and can be found in stores and restaurants all over Italy. 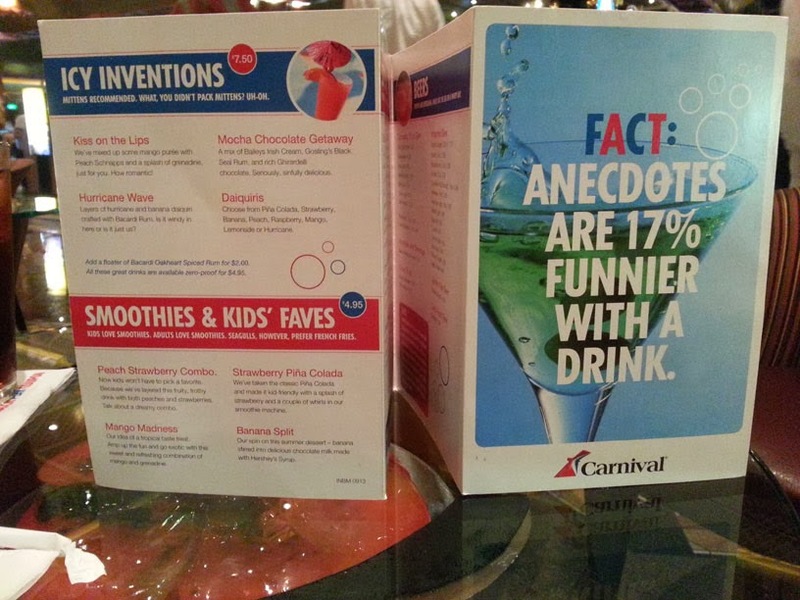 On Carnival Conquest, the price of the drink includes the souvenir glass which is yours to keep. Playlist Productions show Divas featured songs from the great pop Divas like Gaga, Beyonce, Christina, Madonna, Whitney, and Celine. There were two shows in the Toulouse Lautrec Theater. Prior to dinner you could meet the Captain and Senior Officers, have your picture taken with them, dance to music and enjoy a cocktail. In days gone by, Carnival would provide the drinks free of charge, but now they simply offer a $1 discount. We now skip the Captain's party the majority of the time since it just means hurrying up getting changed. We had our drink at dinner instead. 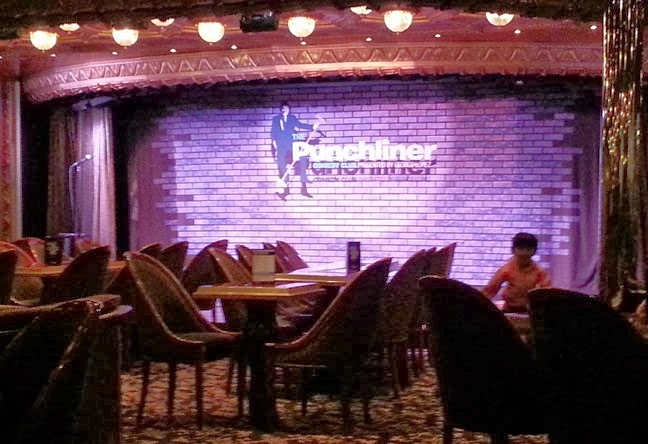 Our after dinner entertainment of choice throughout the cruise was the comedy club. Carnival brought 2 comedians onboard for the beginning part of the cruise: Kim Harrison and Smiley Joe Wiley. Each night, there would be two family oriented shows and two adult only shows in the lounge. They were very enjoyable. Tip: Be sure to check your Fun Times before dinner to plan your evening. Tuesday was a sea day so we opted to sleep in and have a late breakfast. We'll tell you more about our Sea Day in our next installment. If you have any questions that you'll like us to address, be sure to post here, on our Facebook page, or email us. You've waited for this trip to get away from your daily routine. You aren't quite ready to be cut off from the outside world completely however. There are several possible "solutions" to this situation. In this day and age, most people are walking around with one or more smart devices (phones, tablets, PCs, or some combination of these). Prior to sailing, you are usually still connected to the outside world via your normal telephone / internet provider. Once you sail, you can still be on their network in many cases, but the price of communication can go up dramatically since you are roaming. Tip: The price for data and phone calls increase substantially, so you'll want to check with your provider before you travel to understand your options and costs. 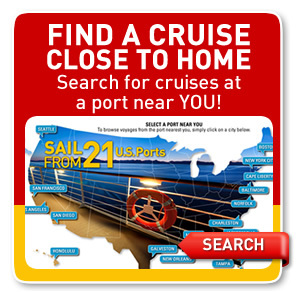 Carnival Cruise Lines, as well as the majority of the other lines, have enhanced their onboard internet capabilities to meet the demand of the always connected public. Of course, this comes at a price and reduced speed compared to your back home experiences. 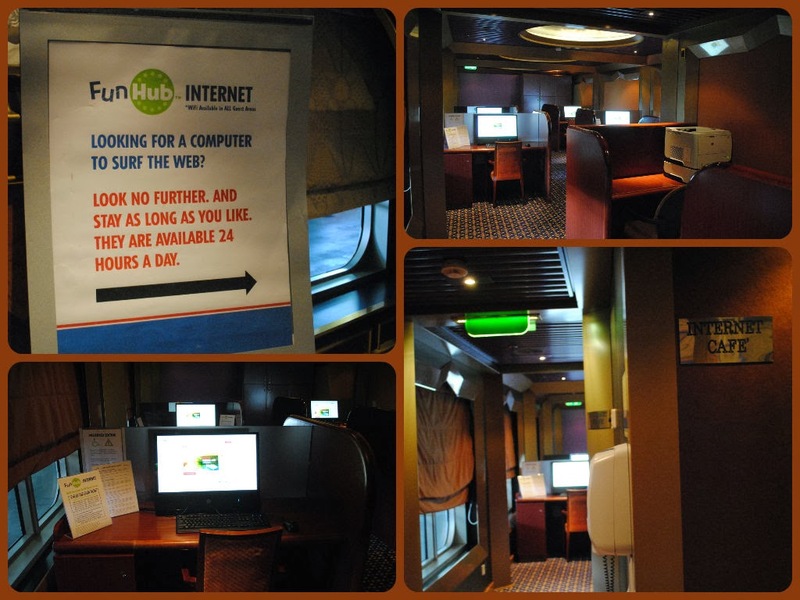 There are several plans available that provide internet access during your cruise. You can use the ship's PCs or your wireless device throughout the ship to connect to their internet. Prices range from 75 cents per minute for pay as you go to around 30 cents or less if you purchase a package. For those that need to be in contact with home or office, this keeps you in contact at any time, provided there is adequate satellite coverage. As mentioned already, expect communication to be much slower than your normal experience, which translates into increased cost per activity. If you don't need to be in contact constantly, finding connectivity on shore is perhaps a more attractive solution. 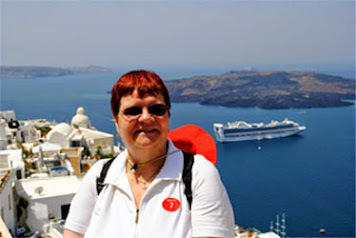 Options range from free WiFi to purchased plans that are usually much cheaper than those onboard the ship. As you might expect, when you own your own business, you need to be in contact with your office and clients even when on "vacation". We find ourselves in that situation. For this particular cruise, we had one of our associates covering for us, but we did promise to keep in periodic contact. In order to do so, we went with the in port approach. 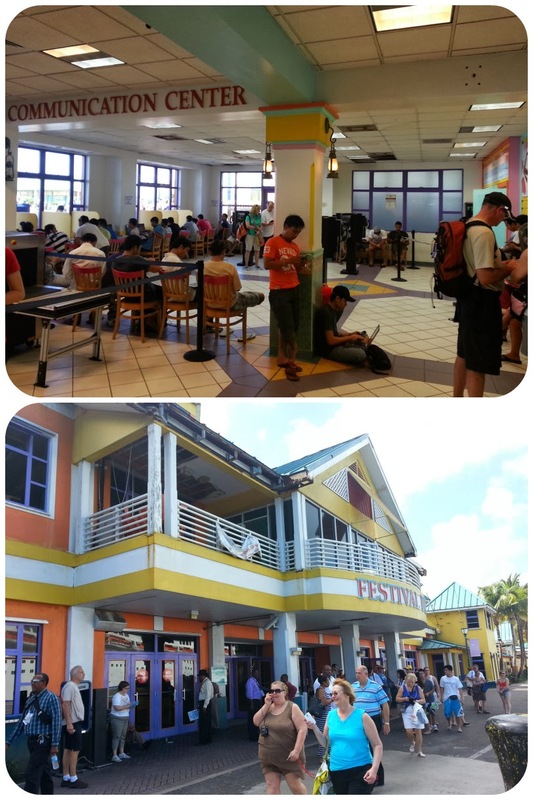 A short walk from the pier in Nassau puts you outside the Festival Marketplace where you'll find many of the ship's crew and passengers camped out on their cell phones and other devices. WiFi is free in this area, but the signal isn't always the best. It did suffice for our needs in checking emails and posting a few pictures for our followers. You might want to wait until the crowd thins out to increase the odds of getting your emails sent. Often coffee shops and restaurants provide internet passwords to their patrons. We suggest checking out sites in every port prior to your cruise so that you have an idea where to look during your trip. More about Day 2 of our cruise in our next post. 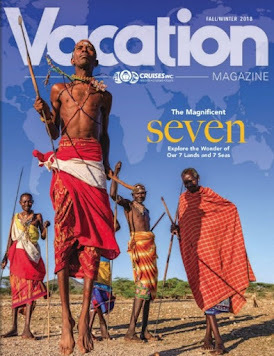 Be sure to check all the articles in this series to get the complete story about our cruise. 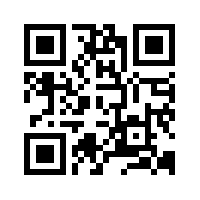 If you have tips you'd like to share, feel free to contact us here or on our Facebook page. When you've been on as many Caribbean cruises as we have, you are bound to repeat a port or so. The great thing about that is you don't feel obligated to get up early, rush your breakfast, and be the first person to the gangway. Our second day on Carnival Conquest was an early call at Nassau, Bahamas. You guessed it - we've been there many times before. So for us, this was for all practical purposes, a bonus sea day. Despite the 7 AM arrival in port, we slept in until around 9 AM. 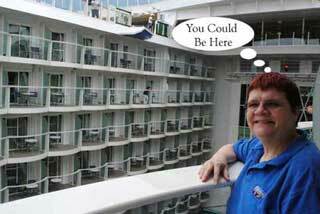 We then went up to Lido Deck for a buffet breakfast. Buffet Breakfast is served from 6:30 AM - 10:30 AM in Cezanne, so we still had plenty of time. Do you usually eat a big or small breakfast? Typically we aren't big breakfast eaters, but on a cruise we tend to have more than normal since it might be awhile before our next meal, especially on a port day. The buffet had a wide selection of items ranging from continental breakfast, consisting of cereal, fruit, yogurt, and pastries, to made-to-order omelets, waffles, french toast, pancakes, and breakfast meats. The image above shows some of the selections available. Tip: Omelets are very popular, so give yourself extra time to wait in line. 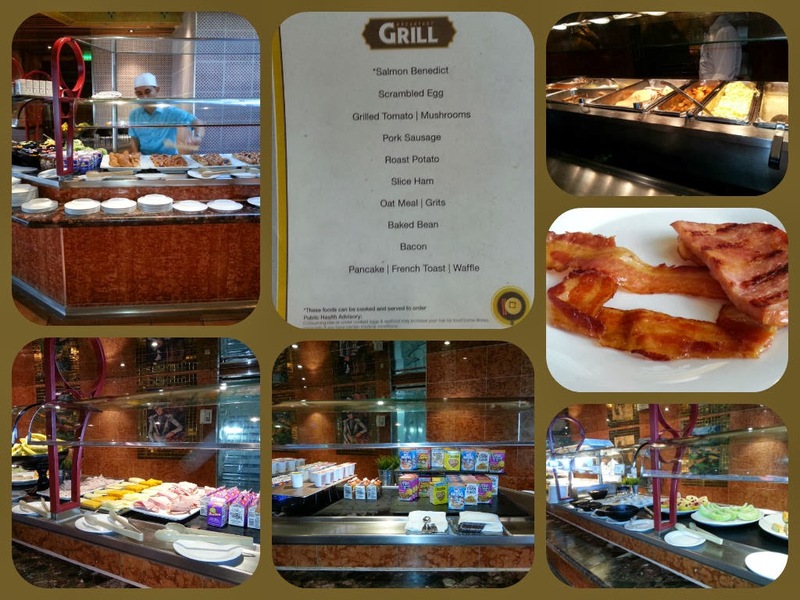 Bacon and ham are available in the center section of the Grill near the omelet station. We mention this because it's hard to find if you don't know where to look. Buffet not your cup of tea? The buffet is only one option. One day you might consider breakfast in bed. Room service can be delivered to your cabin at no extra cost. You can go to the main dining room for a sit down meal if you want to have a nice relaxing breakfast. 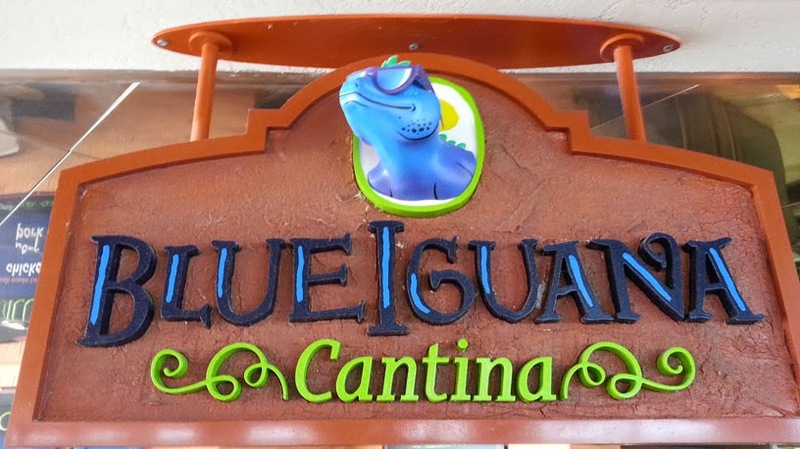 BlueIguana Cantina serves breakfast burritos if you have a taste for Mexican cuisine. It's all about choices - you are on vacation and you can decide. After breakfast it was time to go ashore for a bit. Keep in mind that our main objective was to have a nice relaxing voyage and experience the changes on the ship. We were off to a good start on embarkation day by trying the burgers and tacos, so now on to part two of our mission - relaxing. Come back next time to see what we did the rest of day 2. At the conclusion of the Olympics, the IOC President calls upon the youth of the world to assemble in four years time at the next venue city for the Olympic Games. 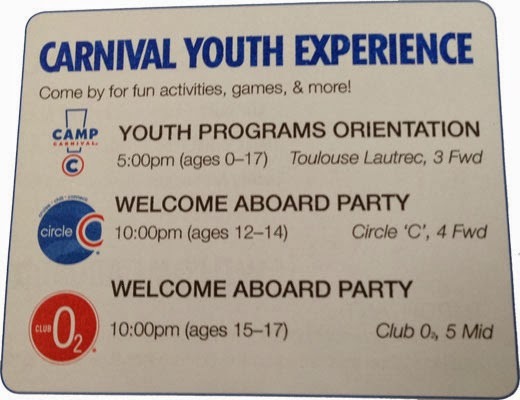 In the meantime, youth of all ages are called to bring their families on a Carnival Cruise and assemble at their age-appropriate Club onboard to experience their Fun Ship. It’s everything they love about summer camp and their favorite babysitter, all in one! Camp Carnival offers tons of activities designed for children in three different age groups: 2 to 5 years, 6 to 8 years, and 9 to 11 years. On embarkation day children can be registered into their specific program and participate in the Welcome Aboard Party. During the day, trained camp counselors work with small groups of children to be sure they are having fun. The children get to meet others in their age bracket, play together, and have special meals together. When the sun goes down, Camp Carnival Night Owls (fees apply) is open so kids get to stay up late having fun, while their parents also enjoy themselves well into the night. 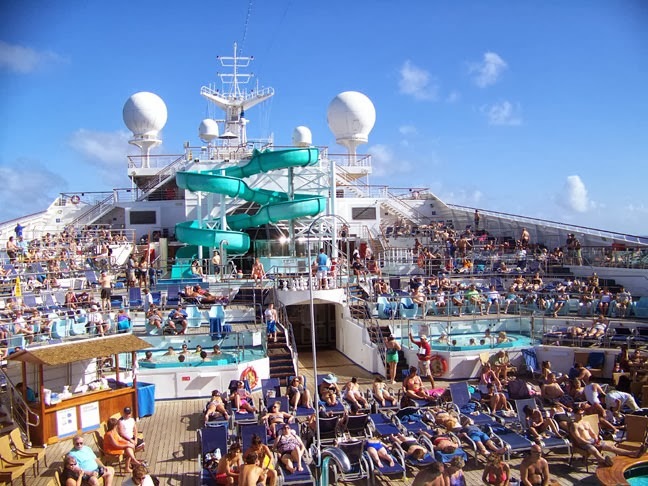 Most people speak highly of Camp Carnival, but in the following post by John Heald, Carnival's Senior Cruise Director, one parent didn't like the choices of activities. Several people responded with positive things to say about the program. Also, John mentions about changes which will be introduced due to a new partnership. Tip: Sign up for Camp Carnival when boarding so that your children will be able to attend the evening's Welcome Aboard Party. This concludes our Embarkation Day coverage of our Carnival Conquest cruise. We'll now look at the rest of the cruise and more about the ship in future posts. After our dinner at the steakhouse and the conclusion of the Superbowl, it was time to determine what to do for the rest of the evening. There's something for everyone to enjoy. Checking our Fun Times, we found that there was only one Welcome Aboard Show scheduled that evening at 10:15 PM. It was hosted by our Cruise Director, Gary. It featured a preview of the Playlist Productions and Punchliner Comedy Club entertainment. The entertainment portion of the show wasn't very long which gave our CD plenty of time to explain what we should expect for the remainder of the cruise. Following the show the casino was bopping as passengers weren't ready to retire for the evening just yet. The casino has state-of-the-art BlackjackPro and PokerPro tables where you can try your luck against the house (which is actually a computer). Of course, if you prefer live action or slot machines, there are plenty of options there as well. Earlier in the day, the casino had complimentary play on the state-of-the-art tables prior to sailing and in honor of the Superbowl, they had a Big Game Score Pursuit where you could win up to $500 on a $10 bet. Throughout the week you could use your Sail & Sign card to advance funds and also as a players card which could earn you free drinks. Tip: Be sure to check your Fun Times when you board the ship and plan your evening. 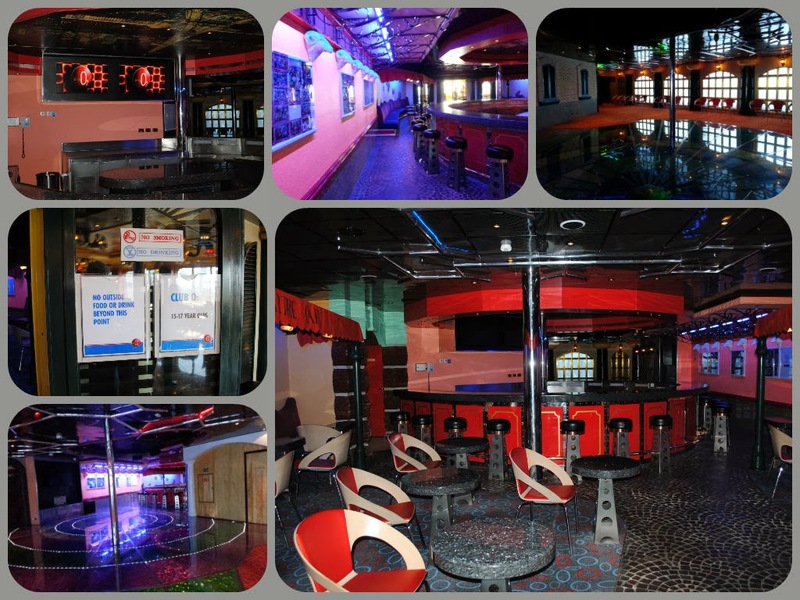 In our next installment we'll look at the welcome aboard activities for youth and also take a look at some of the bars and lounges that offer nightly entertainment. Get Ready for the "Big Game"
We embarked the Carnival Conquest on February 2nd shortly after noon. The cabins weren't ready as expected and we headed up to Lido Deck (deck 9) for some lunch. The first thing we saw was the big screen in the pool area. It was displaying the Superbowl logo because later this evening this would be the site of the biggest viewing onboard the ship of the "Big Game". 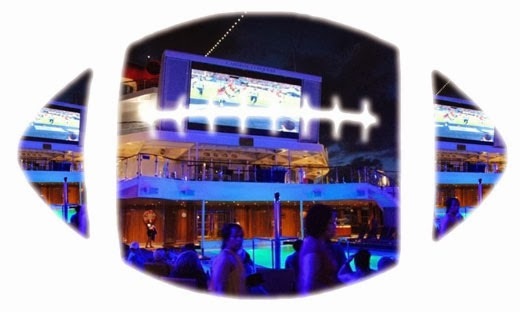 Lido Deck is the perfect spot to watch the game since you are close to food and of course, beverages. The menu offers up Mexican favorites, including several brands of tequila and a slew of Mexican brews. There’s a line up of frozen concoctions, cocktails and margaritas served by the glass or pitcher and even a special Mexican beer cocktail. 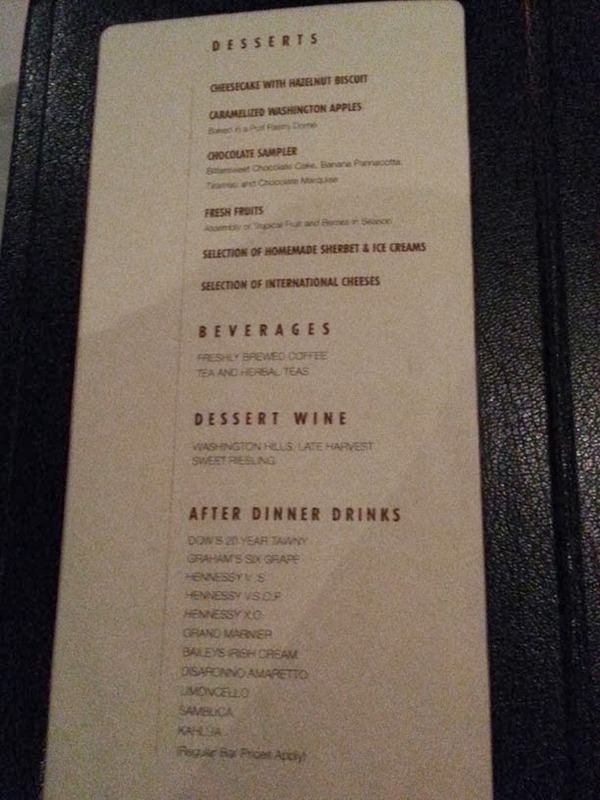 View BlueIguana Tequila Bar Menu As we mentioned in earlier posts, we had made a dinner reservation at "The Point" Steakhouse for 6:00 PM, so we only watched the start of the game and then headed off to dinner. 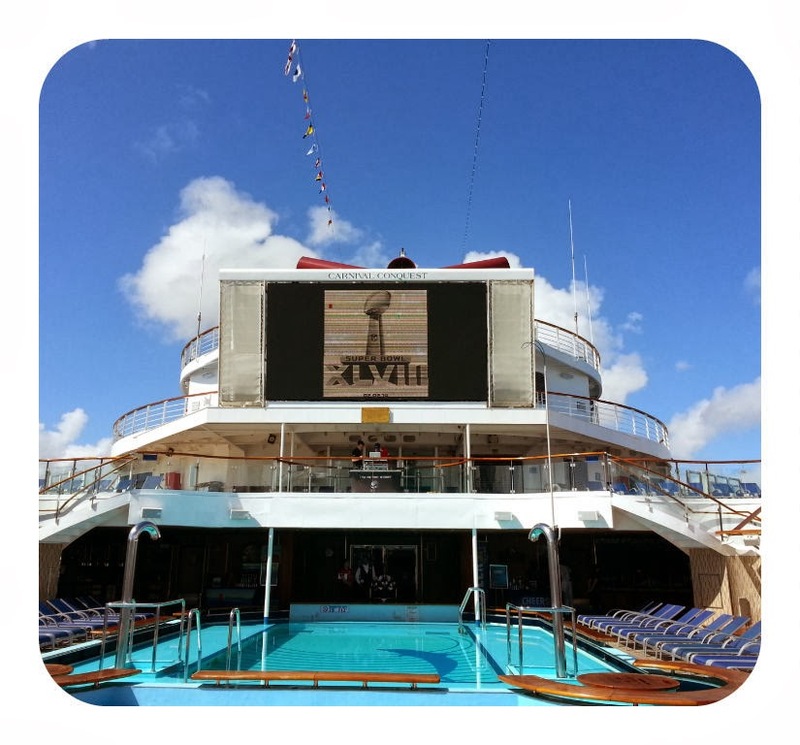 When we returned, the game was in the third period, so we watched the final minutes from the Lido deck chairs. Unfortunately, it wasn't much of a game, but it still was a lot of fun watching with so many people on the open deck of Carnival Conquest. Following the game, there was lot's to do onboard the ship. In our next posts, we'll continue our tour of the ship and the activities onboard and then we'll be headed to our first port of call, Nassau, Bahamas. 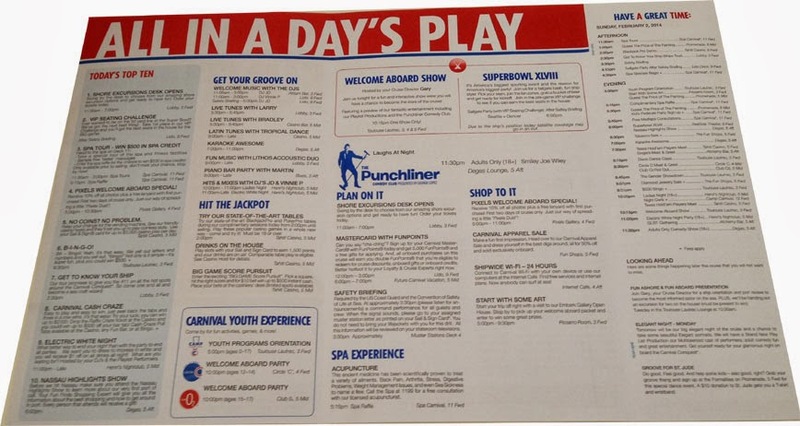 Be sure to come back to visit us for more of our experiences and tips to make your next Carnival cruise enjoyable. 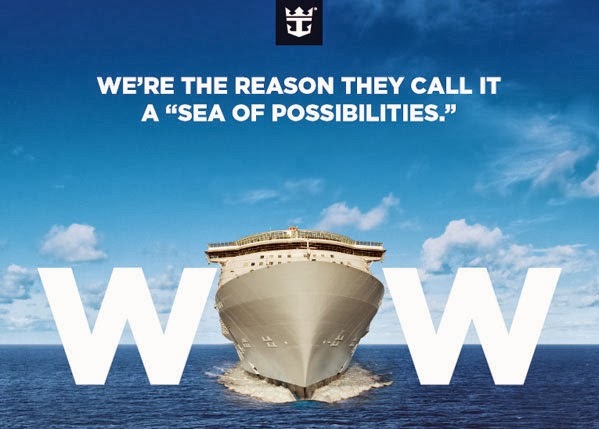 Royal Caribbean Cruise Line has begun announcing their 2015-2016 Deployment Schedule. We will be updating the table below with a link to pages on our website with more details about the ships and itineraries included in each deployment. As of this initial posting, two schedules have been released: the Summer Caribbean and Northeast and the Fall Bermuda and Canada/New England. Select from amongst the following ships: Freedom of the Seas, Grandeur of the Seas, Independence of the Seas, and Oasis of the Seas. 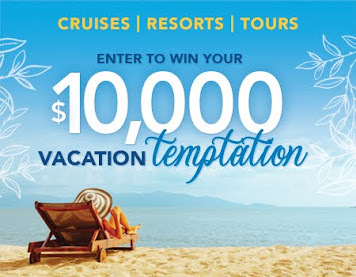 Oasis and Freedom feature alternating 7-Night Eastern and Western Caribbean Itineraries. 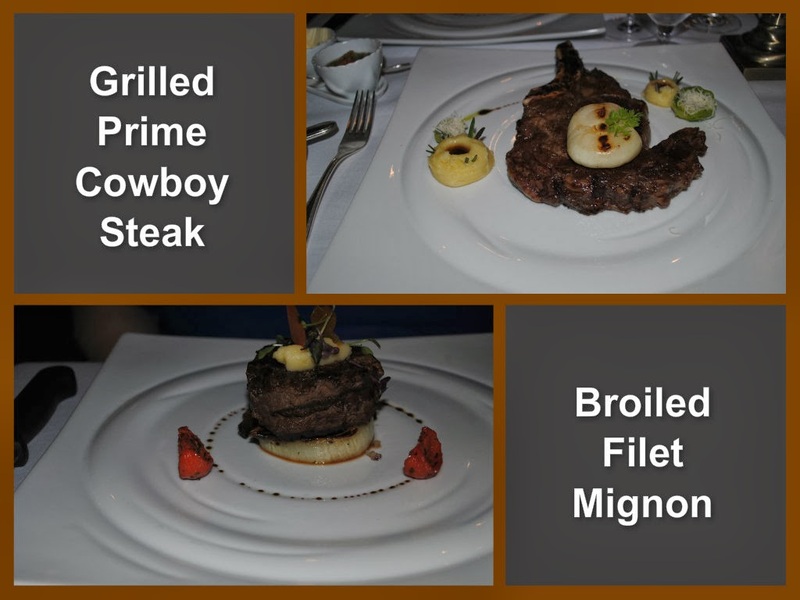 Continuing our exploration of Carnival Conquest shortly after embarkation, we discovered that we could make our dinner reservations for the specialty restaurant, "The Point" Steakhouse without leaving Lido Deck. Initially we checked availability for Thursday, the second formal night of the cruise. We made the reservation and then were told that if we wanted to dine Sunday evening, we would be given a complimentary bottle of wine. Didn't have to twist our arm too hard to decide we'd skip the main dining room that evening - especially when they told us the dress code that evening was casual and we were fine as dressed. 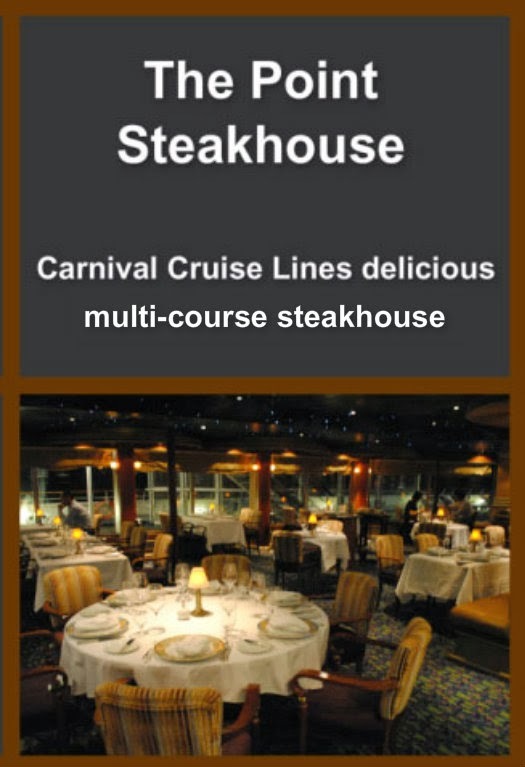 In the early 2000's specialty dining was introduced to the cruise community. Norwegian Cruise Line introduced it in the form of "Freestyle dining" while others went with the term "specialty dining". In both cases, the passenger selects the venue, usually an upscale restaurant, and pays an additional gratuity for special attention and better quality food. Presentation is a large part of the experience with food often prepared table side or made to order at the very least. Also, plan on spending several hours enjoying your meal. 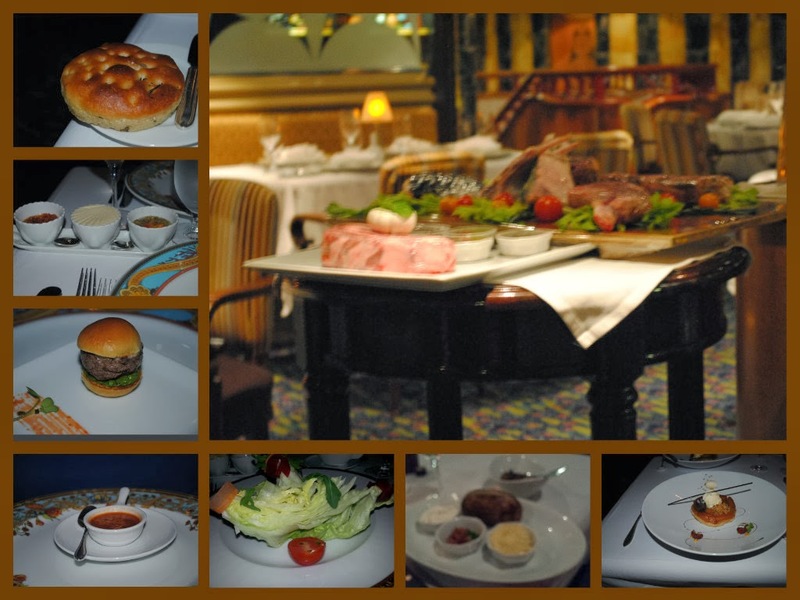 As with meals in the main dining room, you are presented with a menu to select your starters, entree, and dessert. Since we were taking advantage of the free bottle of wine, we needed to select from white or red. Instead of simply reading the menu to determine our entree selection, we were shown a selection of meats and other choices by our waiter. Starters for us included bread, salad, and soups shown above which were all excellent. The chef prepares a special treat for you following your starters. We were presented with a small hamburger and a tomato based appetizer. There were so many choices to select from ranging from prime cuts of beef, lobster, lamb, and even chicken if red meat wasn't your preference. Filet Mignon is a typical high-end steak option so that was one of our choices and an 18 oz. Grilled Prime Cowboy Steak was the other. Back home if we ordered such a large steak, we'd be bringing part of it home. Here, there aren't carry out boxes, so we just had to finish the entire meal at the steakhouse. That is why we suggest going there hungry and planning on spending about four hours savoring every bite of your meal. Think about what just this portion of the meal would cost you at home and we haven't even gotten to the side items or dessert yet. Do you think it's worth the $35 surcharge? We certainly do, although we hear from many of our clients that they don't want to pay anything extra for their meals and that is certainly their right. We do however think they are missing out on a fabulous dining experience that they would most certainly repeat cruise after cruise. Do take advantage of the Embarkation Day special if you like wine. For a house bottle of wine we found the white (Chardonnay) selection to be very good. Red wine was a Merlot, but only one of us likes reds. Make reservations when you get onboard to be sure you get the day / time desired. It wasn't crowded the first evening, which would be another reason to select embarkation day even without the special offer. Next we'll look at the Embarkation Day entertainment. It was Super Bowl the day we boarded for our cruise. 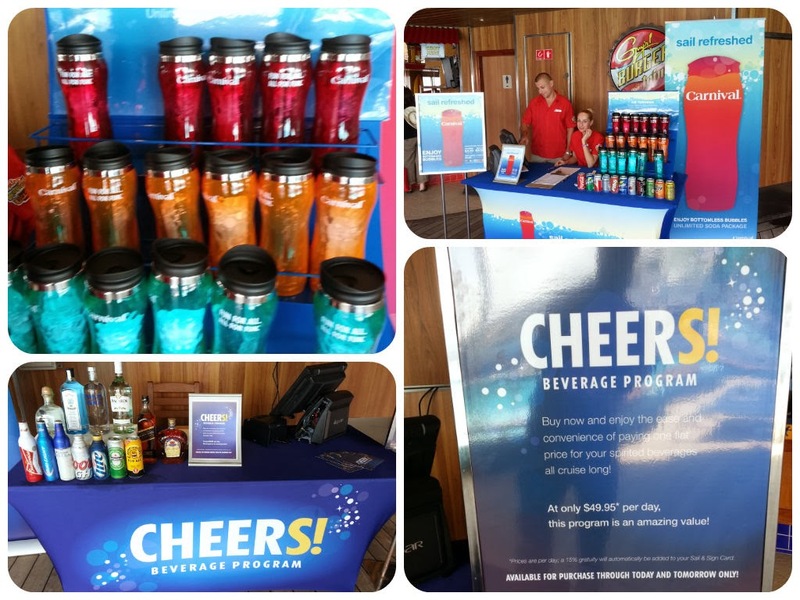 One of the latest trends added by the cruise lines has been beverage programs which makes cruises on par with all-inclusive resorts. One big difference between the two is that the cost isn't included in the base pricing. That is beneficial to those that don't want to partake in unlimited bubbly and therefore don't pay the premium. 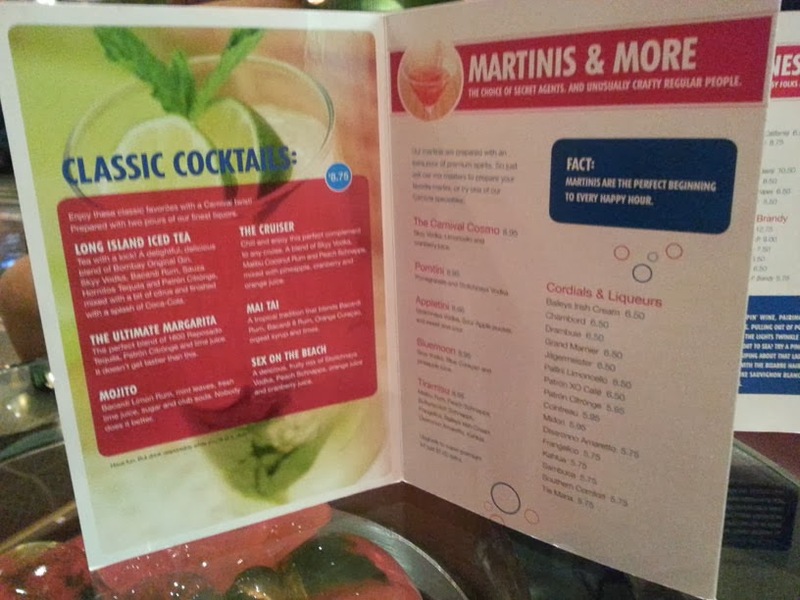 Continuing our coverage of Embarkation Day aboard Carnival Conquest, let's look at two beverage programs that you might want to consider. Bottomless Bubbles is a soda package that can be optionally purchased that provides unlimited soda fountain drinks, consisting of several Coca Cola products, throughout your voyage. It must be purchased on Embarkation Day and it is valid for the entire sailing. The cost on Carnival Conquest during our recent cruise was $4.00 per day for Children and $6.00 per day for Adults. You can also purchase a Carnival Tumbler for $4.95. The total price including tip is added to your card and a sticker is affixed to your Sail & Sign card showing proof of purchase. You simply show your card to the bartender or server and they'll fill up your tumbler if you have one or bring you a glass of soda of your choosing. Normal price for a "Coke" on the ship was $1.95, so for those that like 3 or more sodas a day, you can break even or be ahead very easily. Tip: For families that don't want children drinking soda, there are other choices in the buffet such as lemonade, ice tea, and juices. Hot coffee, tea, and hot chocolate are also available without cost. For our Adult guests that wish to partake in the "flavor of the day" drink specials and other alcoholic beverages such as beer, wine, and mixed drinks, the Cheers Beverage Program can be purchased for $49.95 per day. That's a $350+ investment per person on a 7 day cruise. Is this program worth it? The answer depends on what you like to drink, and how much. 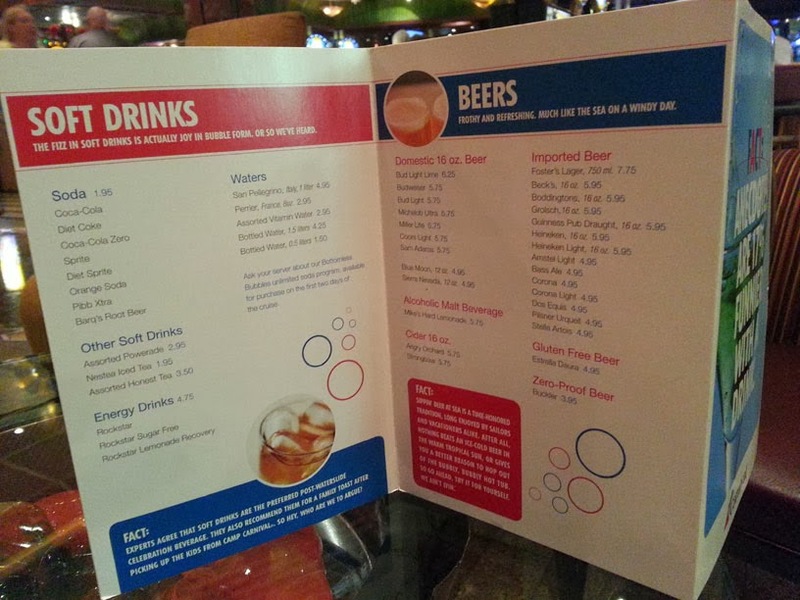 Prices for drinks can range from $4.95 for domestic beer to $7.50 for a frozen invention. Wines could be more depending on the selection. There are restrictions, so be aware that not every drink will be included. Complete details can be obtained onboard and we encourage you to carefully consider whether it is better to purchase as you go or opt in for this program. Regardless, please do drink responsibly as we don't want to read about you in the news. TIP: Check on Deck 9 either before or after you welcome aboard lunch for these and other Embarkation Day specials. We did take advantage of the Bottomless Bubbles program but decided to purchase our alcoholic beverages as desired during the voyage. This combination worked fine for us. Next up: A special dinner that we arranged during the open house. Wouldn't This Be a Nice Valentine's Day Present? You've just gotten aboard the ship and after having some lunch it's time to explore the ship and get to know more about what awaits you the rest of the week. First up on our tour is the Spa. On most ships, embarkation day means open house. 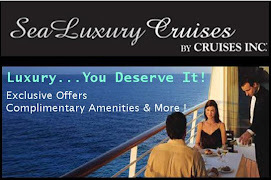 It is a chance for each department to showcase what they have to offer you as guests during your cruise. 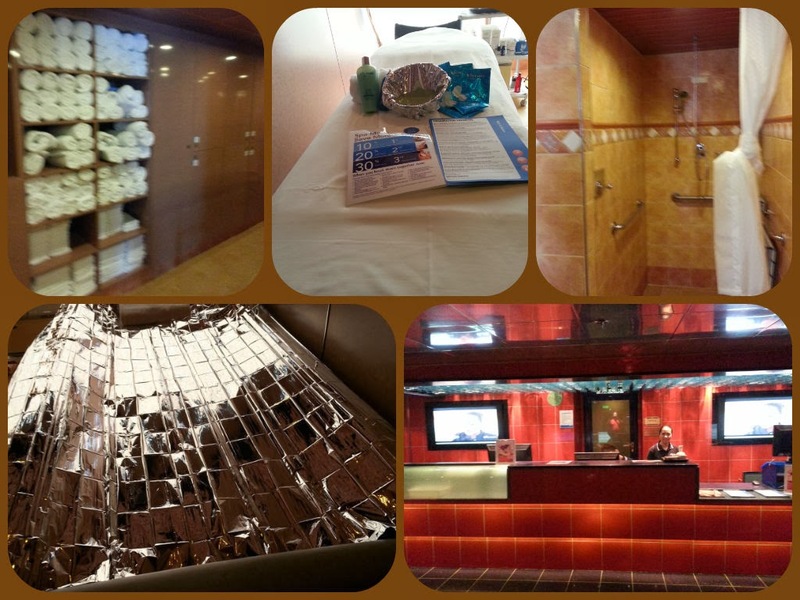 Carnival Conquest has a full service Spa, Salon, and Fitness Center located on Deck 11 Forward. Prior to the mandatory safety drill, the spa is open giving tours of the facility and taking appointments for later that day and the rest of the cruise. Arriving at the Spa, you are introduced to one of the many therapists on board who takes you on a private tour of the facility. You are given the Spa Menu, much like you would receive a menu from the host at your favorite restaurant. Throughout the Spa, there are displays of the various treatments and someone on hand to explain the benefits and answer any questions you might have. At the conclusion of the tour, you can make appointments and take advantage of published specials. We decided to take advantage of having our treatment on embarkation day at a savings. The Aromastones Massage is a 75 minute treatment which harnesses the properties of volcanic basalt stones combining with aromatherapy oils and traditional massage to make all your aches, pains, and stress melt away. This hot stones treatment is by far our favorite massage on board a ship. 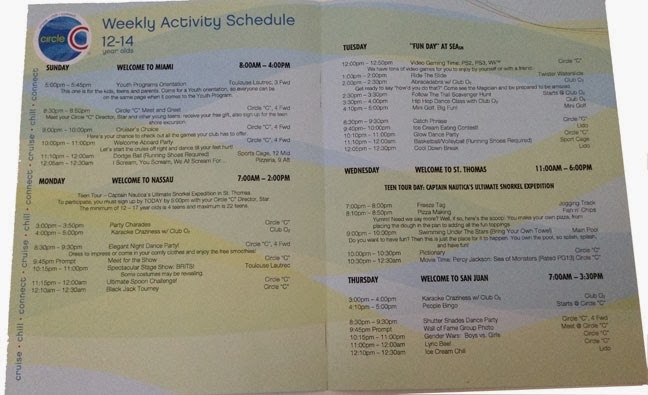 They were able to schedule our appointment right after the boat drill (and right before our dinner time). 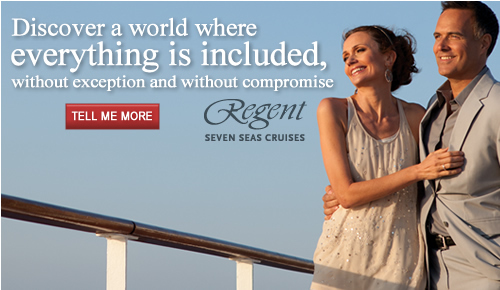 They were offering an embarkation day discount of $46 from the $195 price tag. Believe me, it is worth every penny. There were several other offers with discounts up to $64 (for example: Aromaspa Seaweed Wrap & Massage to detox and condition your body). TIP: If you don't want to have your appointment on embarkation day, there are also 10, 20, 30% savings if you booked multiple treatments during the cruise. 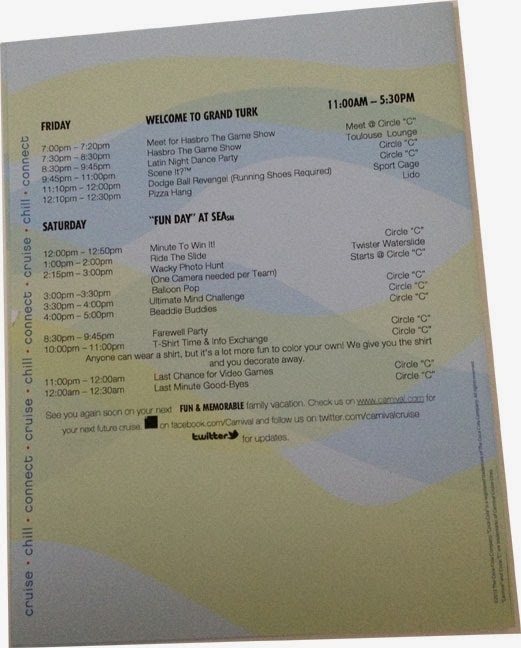 For those still not ready to make an appointment - be sure to keep checking the Carnival Fun Times paper for more offers. Now that we have our massage planned, we are off to continue our exploration of Carnival Conquest - be sure to come back to learn more about the ship and our cruise. 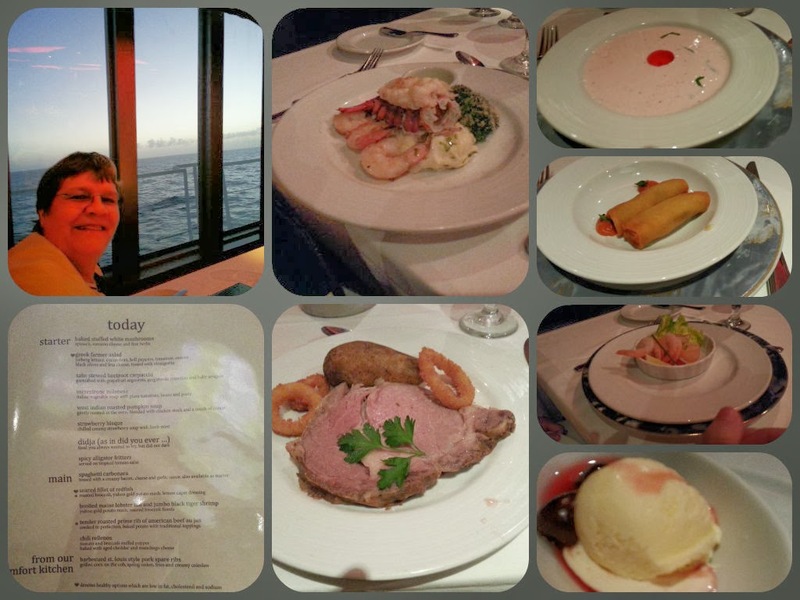 As mentioned in our previous post, just minutes after arriving onboard Carnival Conquest, we were already sampling some of the new Fun Ship 2.0 dining options that were added when the ship was in dry-dock. 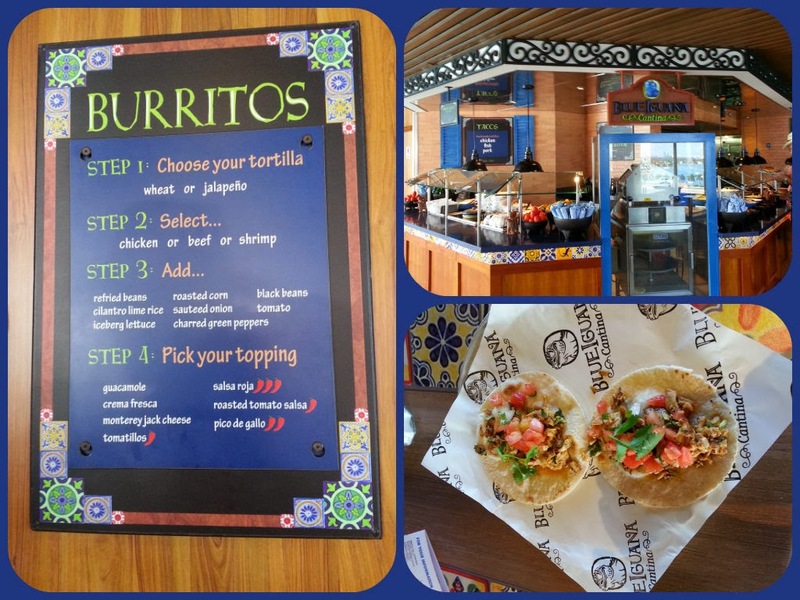 If you like fresh Mexican food, Carnival's all-new BlueIguana Cantina is for you. Your server starts with homemade tortillas and creates tacos and burritos per your specifications. Add toppings, chips and salsa from the salsa bar for a tasty meal. Burritos were way too big for our appetite but the tacos were just right and very good. One night the fresh nacho chips were an excellent supplement to the deck party. Since the cabins were still being prepared when we got on the ship, the logical decision was to head up to Lido Deck (deck 9) for some lunch. I know we just had breakfast at the hotel, but after all, this is a cruise ship and "All you do is eat - right?" Our to-do list of food sampling already had two check marks before we even saw our cabin. We were off to a great start in our mission to highlight as many new features on the ship as possible. So much to do, so little time. Next we'll talk about taking advantage of Embarkation Day specials throughout the ship. We did take advantage of a few so we'll provide complete details on those and leave the rest for your next assignment. 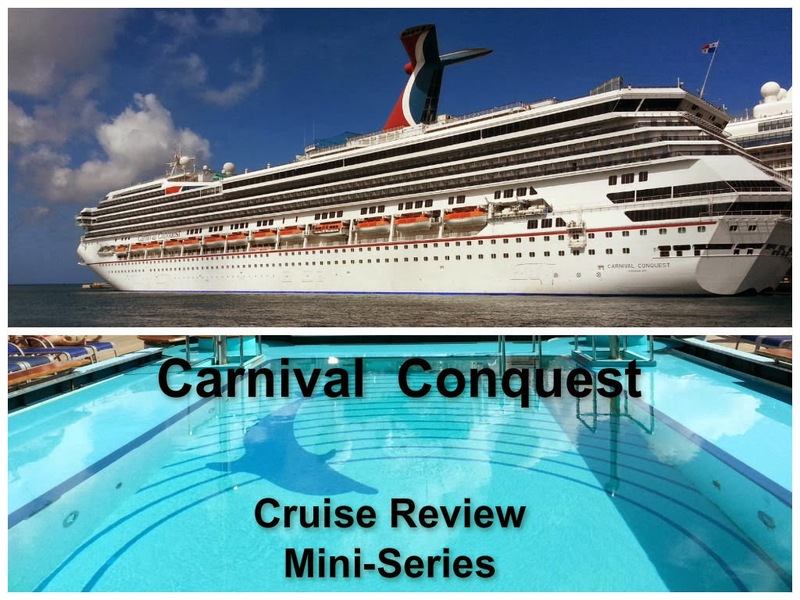 Recall that we selected this particular sailing of Carnival Conquest because of the itinerary and also to get an opportunity to compare with our last cruise on the ship. Since that time, Conquest went into dry-dock for a major face-lift which included adding the Fun Ship 2.0 enhancements. We didn't get too far on Deck 9 before finding several of the Fun Ship 2.0 improvements. Of course, we also started taking some pictures with our camera phones to capture our first moments on board. When we were asked if we wanted to try the burgers, we had to agree. Carnival has teamed up with best-selling author, restaurateur and Food Network personality Guy Fieri to bring all the appetizing appeal of a roadside burger to Guy’s Burger Joint, the cool poolside spot for hot burgers and hand-cut fries. 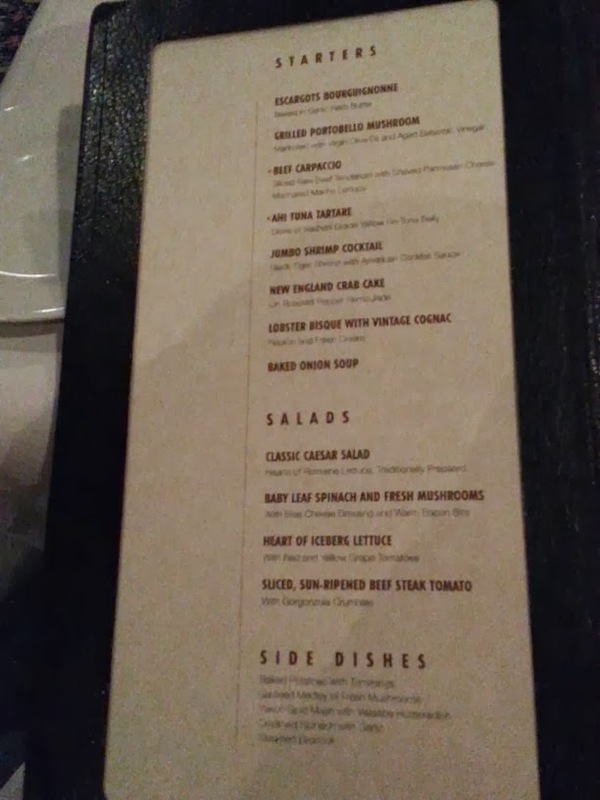 As you can see in the pictures, there is a menu posted with several options. You can have the "Plane Jane" which is simply the burger, bun, and cheese or you can pick one of the ready-made favorites. Either way, there's a complete topping bar with things like mushrooms, grilled onions, lettuce, tomato, pickles, and various sauces that you can mix and match to your heart's content. How are the burgers you ask? Food taste and quality is always a very subjective subject so we can only tell you that we definitely enjoyed the burger and had several during the week. Whether this is the best burger you've ever tasted we'll leave as an exercise for you to determine on a future cruise. 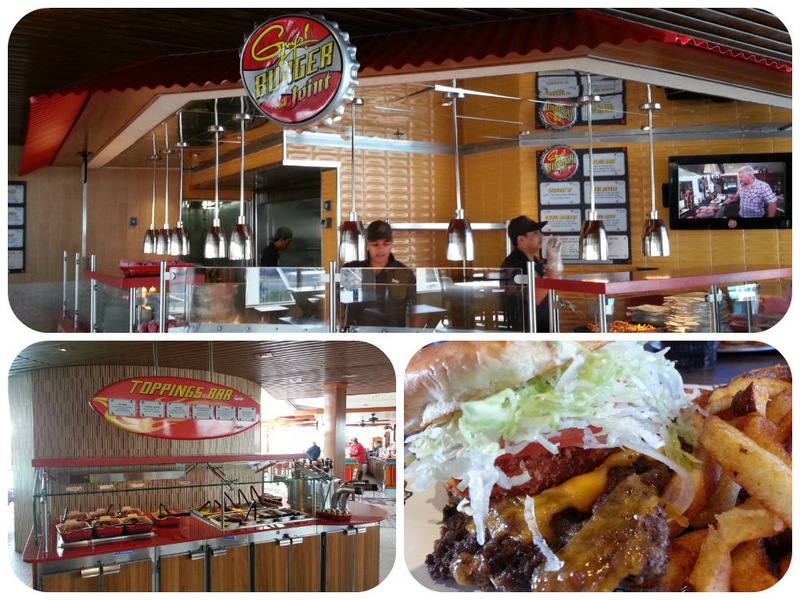 We can tell you that for us they were definitely among the best burgers we've had at sea and will definitely include Guy's Burger Joint on future Carnival cruises. There are other options on Deck 9 for lunch when you get on board. We will talk about one more in our next article. We never made it to the welcome aboard buffet lunch, but other passengers seemed to be enjoying that as well. If you are just joining us, we are reviewing every aspect of our cruise on the refurbished Carnival Conquest so be sure to come back for updates.